The photographed the sunshine and the pine forest. It is a beautiful image of red sunshine, backlight, and pine trees. And the shape of the city is seen through the forests and shows a contrast. hd00:15Morning sun shines through the trees. 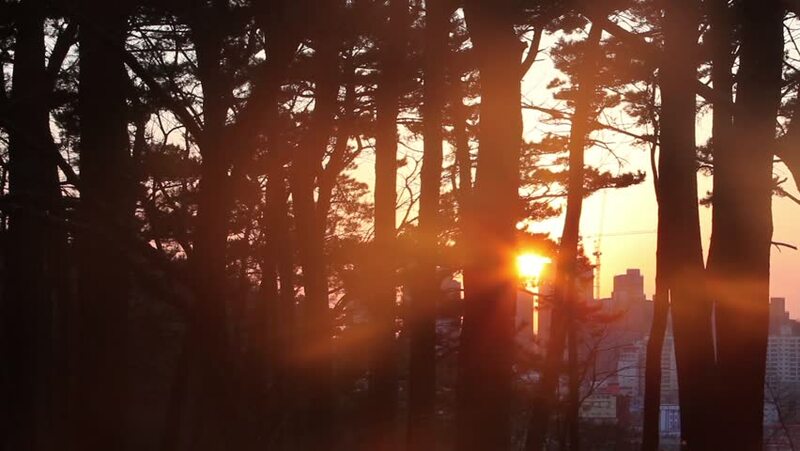 4k00:09Perfect powerful sunset in a forest at Autumn with red and yellow leaves.This is perfect fairy tale footage!